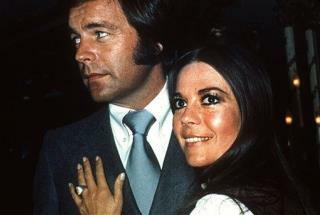 (Newser) – Natalie Wood's body had bruises and scratches that she likely suffered before drowning in the Pacific Ocean on a November night in 1981, according to a new coroner's report. "The location of the bruises, the multiplicity of the bruises, lack of head trauma, or facial bruising support bruising having occurred prior to the entry into the water," wrote Dr. Lakshmanan Sathyavagiswaran in his report. He refused to rule out "non-volitional, unplanned entry into the water" but left her cause of death "undetermined," the LA Times reports. She was always scared of the water. When Wagner dies, maybe Christopher Walken will finally come forward with the truth. It was murder. ever since natalie woods death, i have though all along that robert wagner killed her .the picture just don't add up,them fighting like they did so many times again and again. its like the old saying,"if i can't have you, nobody will"therefore, robert killed her. it just takes times for the truth to come out. i don't know how he can live with it as long as he has, knowing that he pushed natalie off the boat like he did. i'm waiting for the day when he get murder charges for killing such a beautiful lady as natalie was.